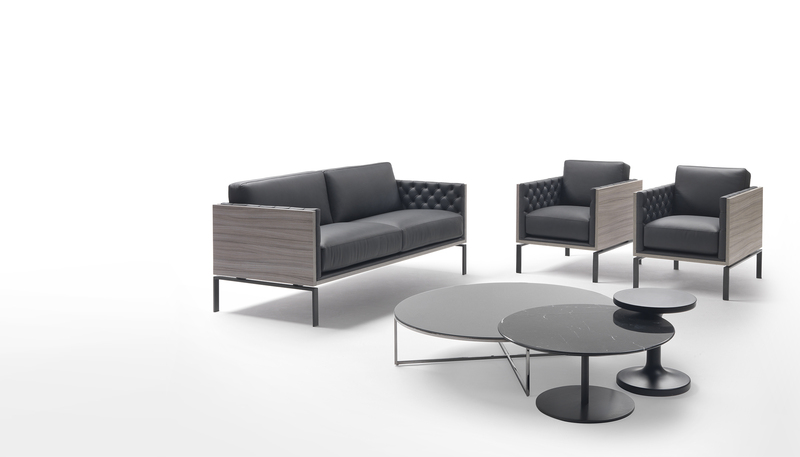 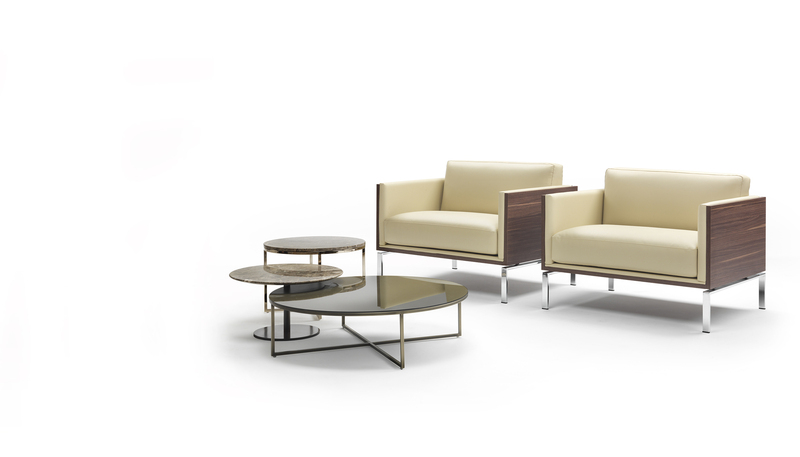 Contract collection of refined sofas and armchairs with a modern design, in which back and seat cushions are inserted into a structure of wooden panels over a metal base. 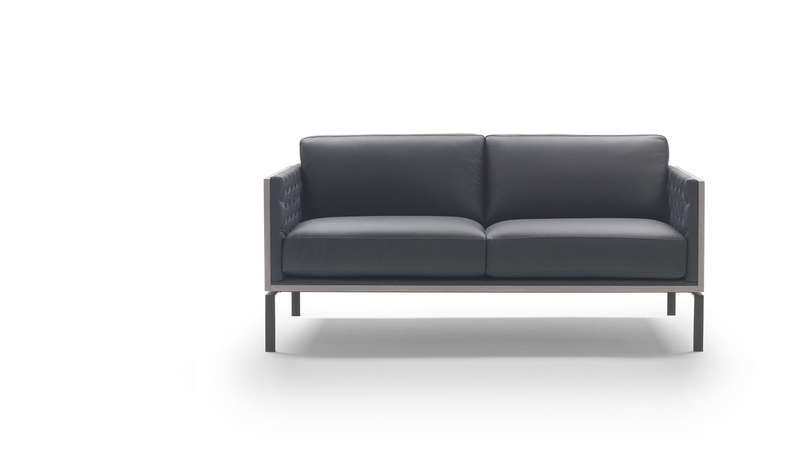 The model can be embellished by the presence of the capitonné finishing on the internal side of the armrest. 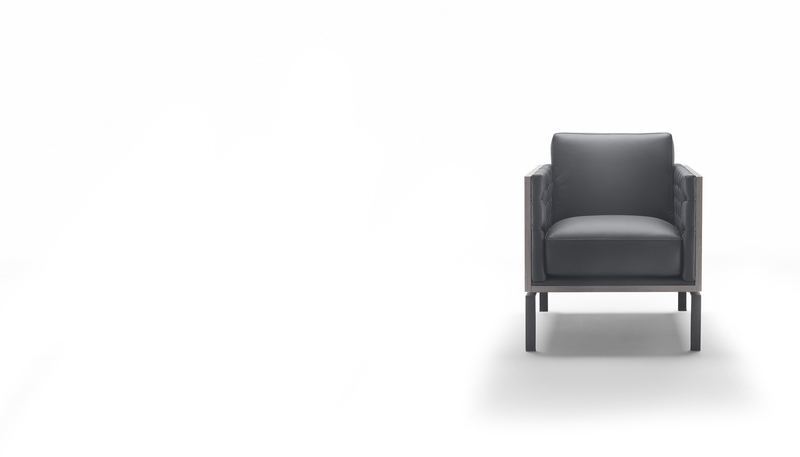 Available in fabric, leather and artificial leather, Connor perfectly fits into lobbys, hotels and management offices.